Some of you might know that I'm a huge fan of Polaroid cameras. There is just something about taking a picture and getting that instant gratification. However, with that instant gratification, comes tons and tons of pictures. 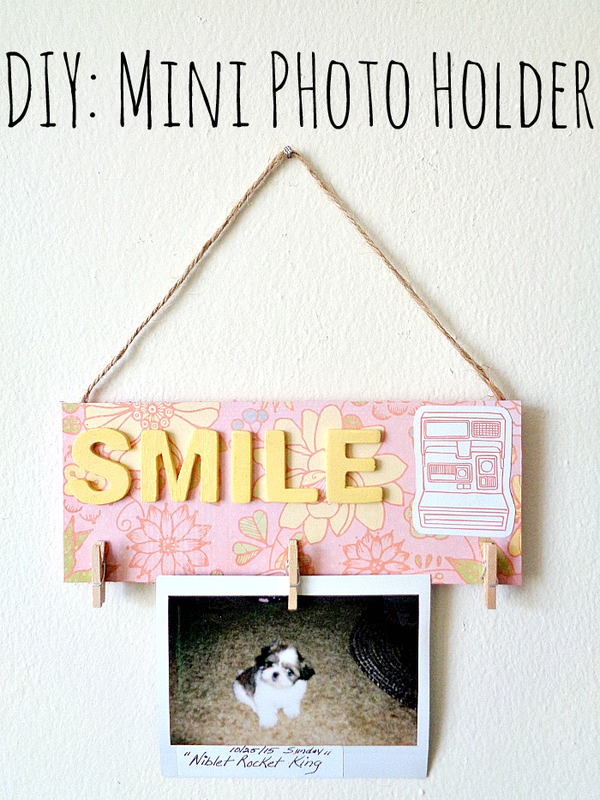 To solve that little problem, I created this super fun and mini photo holder! 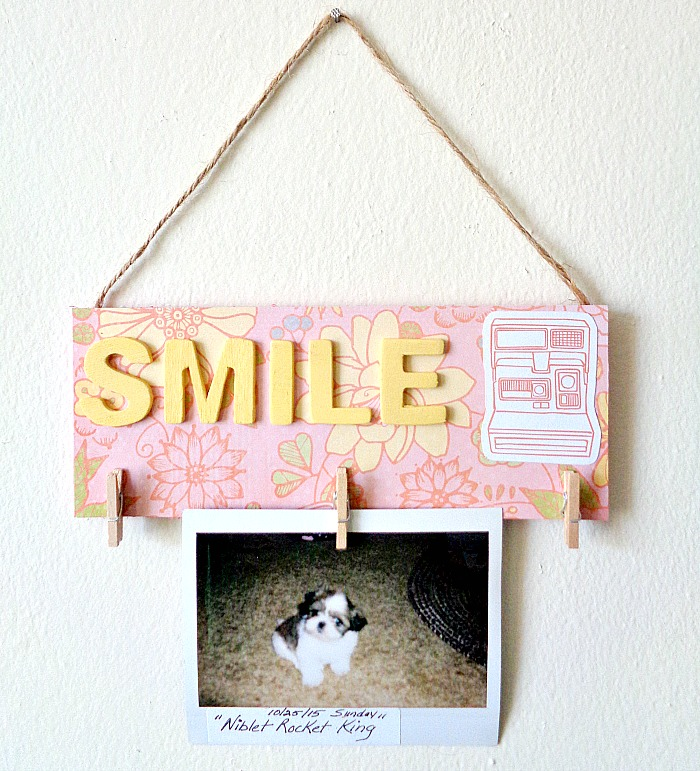 This photo holder is really a little sign which could be hung in any area of your home or even the office (if you're allowed to have personal items). Now today's project is part of my collaboration with Xyron since I'm a member of there design team! This means you will be seeing a Xyron sticker machine in action! For this particular project, I will be showcasing the Xyron® 3” Sticker Maker. This particular sticker maker is great because it's larger than the 1.5 inch but is still small enough to not take up much space. Also, in this project, I will be using paper and paper cutouts from DCWV. The specific pack where I got everything from was there DIY Project Stack Mini Albums paper pack. This paper pack it awesome because its design to create 3 specific projects. However with all the items that you receive in the pack, you can really create what you want, and make the items go a lot farther in other projects. Before we hop into the DIY, I do want to say that this project (in terms of steps) is much longer than what I usually post. Part of the reason is because I wanted you to see how everything came together. With that being said, you could easily combine steps (like the painting steps) into one, if you like. Ok, let's make ourselves a mini photo holder! Step 1: Grab your wooden sign and paint the front and back. Then set it aside to dry. Step 2: Next grab your wooden letters and paint their fronts and backs. Then set them aside to dry. Step 3: Take your wooden sign and lay it on top of your DCWV scrapbooking paper. Then trace around the sign and cut out your piece of paper. 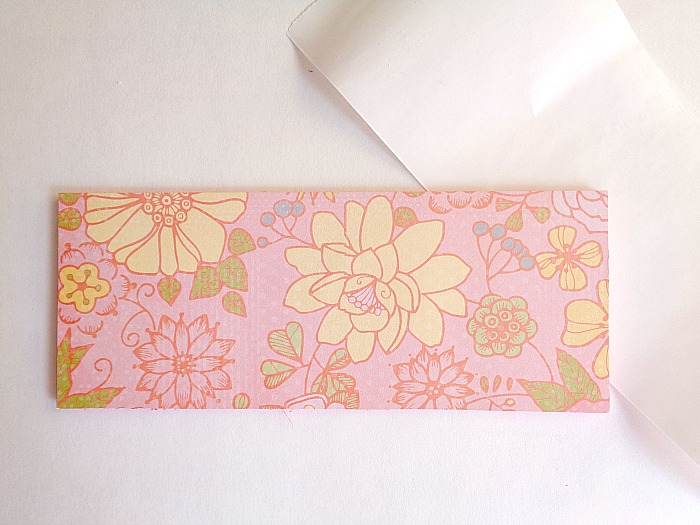 Step 4: Grab your piece of scrapbooking paper and run it through your Xyron 3 Inch Sticker Maker. 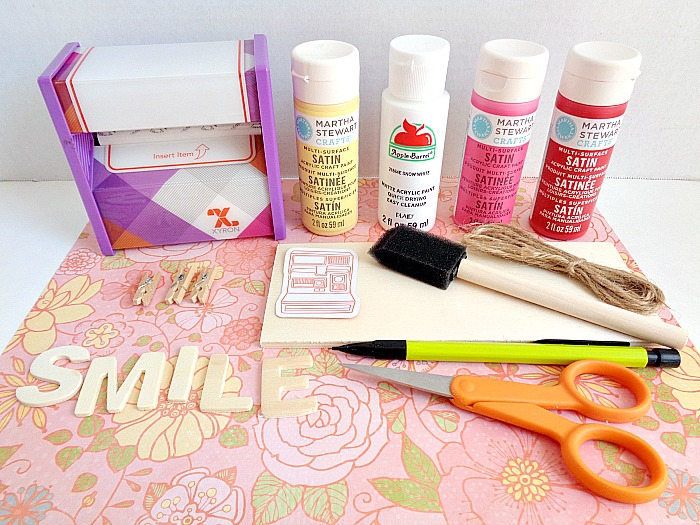 Step 5: Grab your painted wooden letters and any other paper embellishments. 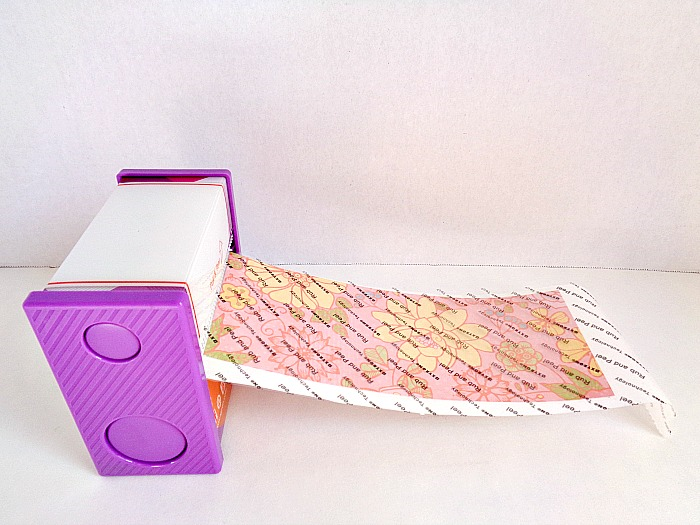 Once you have your word laid out, take each letter and slide it through your Xyron 3 Inch Sticker Maker. In the above photo, you will see how I ran the ''s'' in smile, through the sticker maker. Keep repeating this process until you have run each letter through your Xyron Sticker Maker. Also, don't forget to run and other embellishments (like the DCWV paper camera cut-out) through your Xyron Sticker Maker. 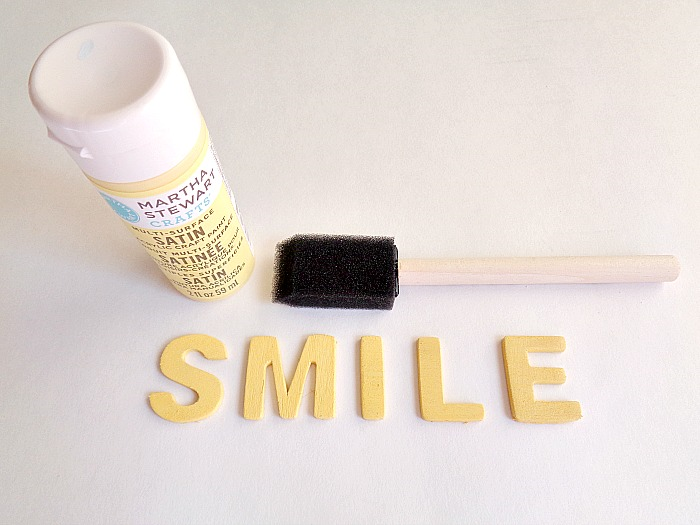 Step 6: Now it's time to add your piece of paper to your wooden sign. 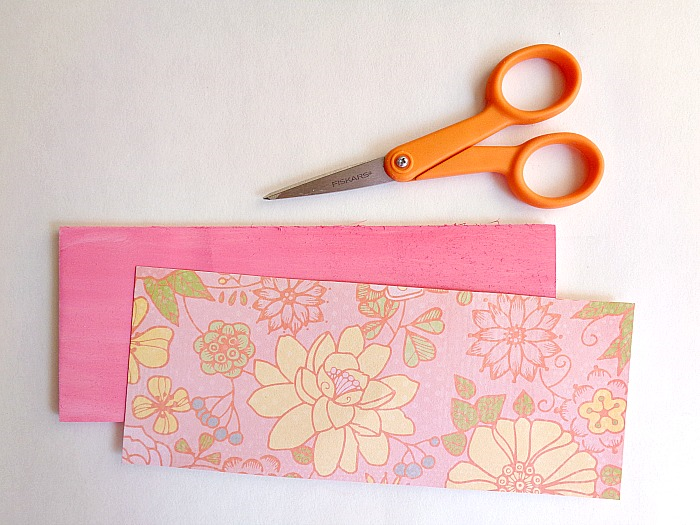 Simply rub the top of the Xyron Sticker paper and peel off the backing. Then add it to your wooden sign. Step 7: Using your favorite adhesive, glue down three close pins. 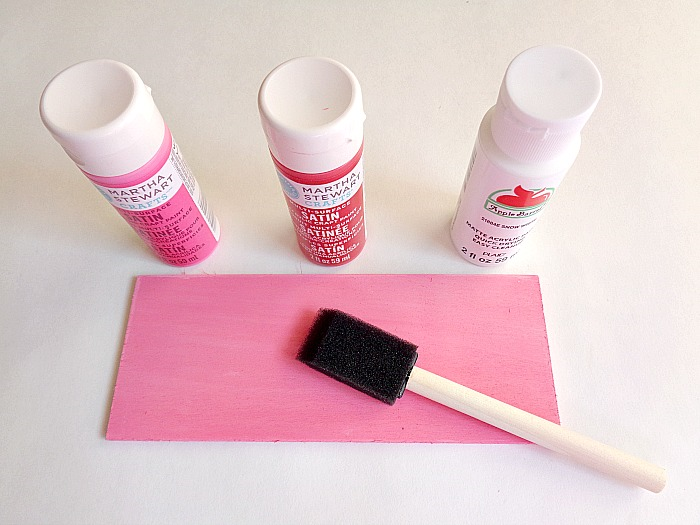 Then set your wooden sign aside to dry. Step 8: Add your painted wooden letters and any other paper embellishments in the exact same manner as step 6. 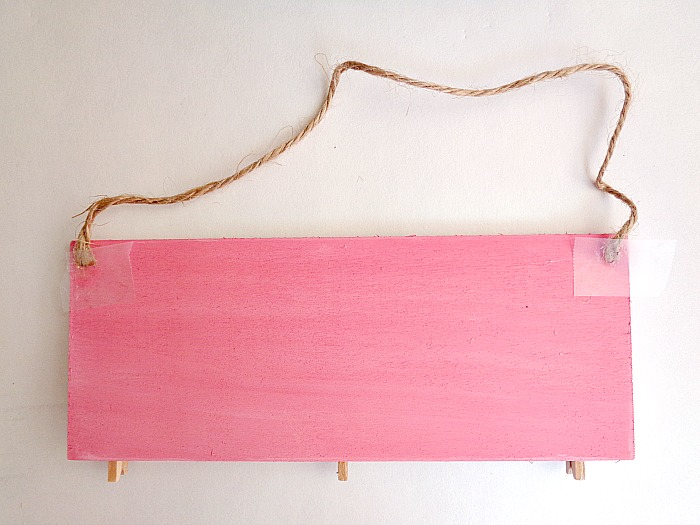 Step 9: Cut a small piece of twine and glue it to the back of your wooden sign. I use some tape to hold down the twine while it was drying. 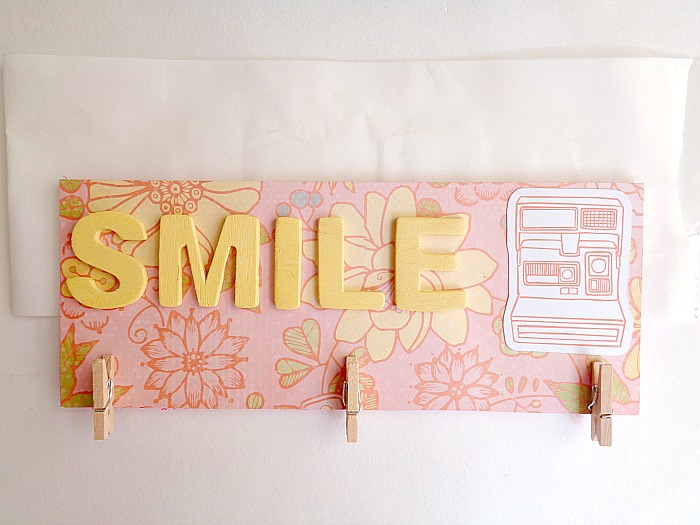 When you're happy with how everything looks, set your wooden sign aside to dry. 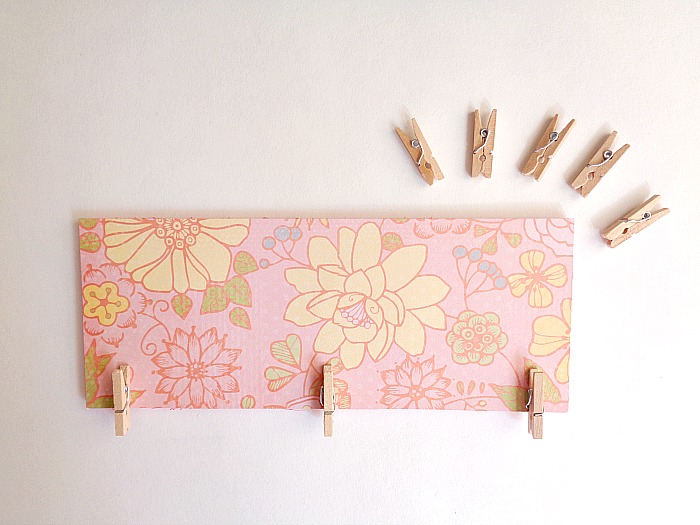 Once everything is dried completely, you're ready to hang your new photo holder! 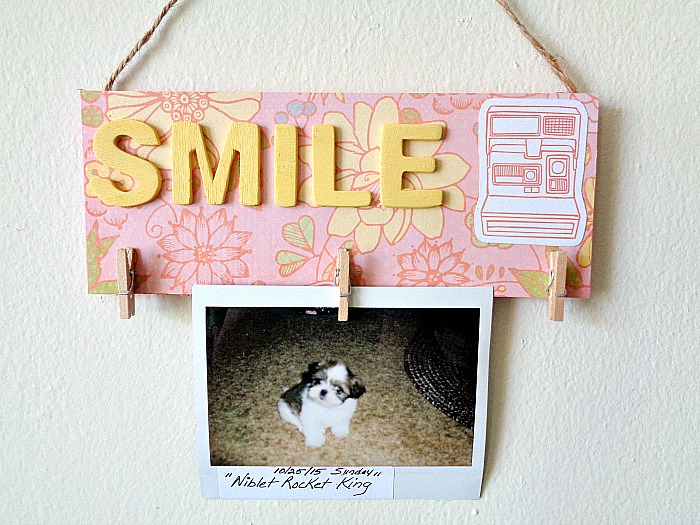 I love the spring look of this photo holder! Now even though I'm using my photo holder to display photos from my Instax 210, you could display photos from any camera that you have. Also, I think Instagram photos would look really cute displayed like this as well! To follow along with all the Xyron fun, don't forget to like them on Facebook and follow their Pinterest page for more project inspiration. So what do you think? Do you like this mini photo holder?